You’ve seen the sights, shopped along Fifth Avenue and could do with a rest stop. 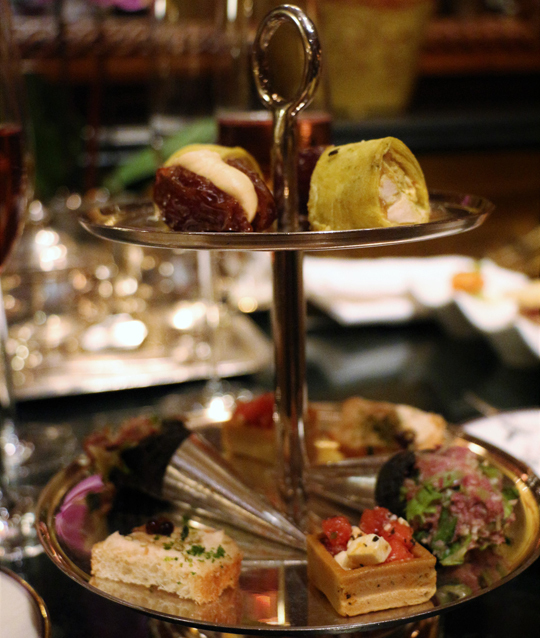 For a decadent afternoon, high tea at the Ritz-Carlton New York, Central Park, ticks all the boxes. 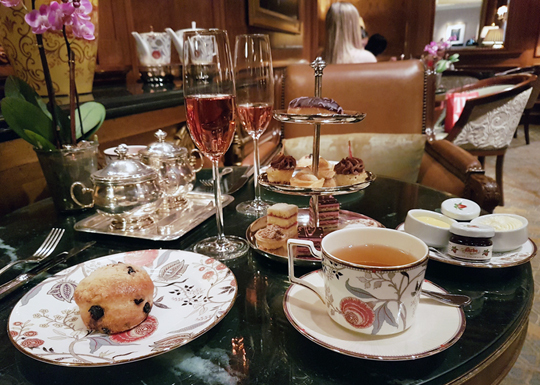 The Ritz-Carlton serves high tea – or as they prefer to call it, afternoon tea – daily in the Star Lounge, which is located directly across from the lobby. The Star Lounge is the epitome of class with its wood panelled walls, large leather and fabric backed chairs and lounges, glass topped marble tables and soft lighting. Think Melbourne’s Hotel Windsor, but more intimate. Our table was beautifully set out with Wedgwood Pashmina tea ware, linen serviettes and silverware, including sugar cubes in silver pots with mini-tongs. The hotel is directly across the road from Central Park, but there are regrettably no views of the park from the Star Lounge. Nevertheless, the park is the inspiration behind this year’s Summer Afternoon Tea menu, which has been dubbed Seasons of Central Park. The menu’s signature tea – a wild strawberry green tea – pays homage to Strawberry Fields, a tranquil area of Central Park dedicated to the memory of musician John Lennon. 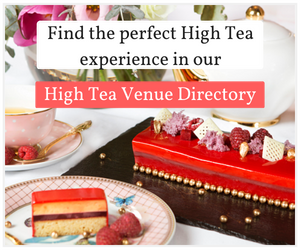 If that’s not your cup of tea – pardon the pun – there are 14 other tea varieties, plus two decaffeinated options and an iced tea on the menu. The tea is served in individual tea pots, which were kept warm throughout the afternoon. About 200 people take afternoon tea at the Ritz-Carlton New York, Central Park, each week. Executive sous chef Joseph Lallave said the hotel changes its afternoon tea menu about six times a year. He said each menu strives to strike a balance between classic afternoon tea items and different culinary techniques. 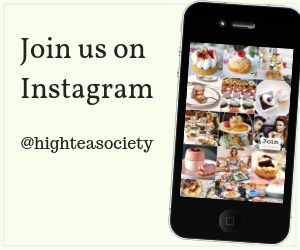 High Tea Society was offered a glass of champagne on arrival and the savoury part of the menu soon followed, served on a two-tier silver tray. The duck prosciutto Caesar, which deceptively resembled a mini ice-cream cone, was delicious, and medjool date was another favourite, with the cream cheese and red pepper jelly filling complimented perfectly by the sweetness of the date. The yellow curry chicken salad, served wrapped up in pastry, was also a standout. Already feeling pleasantly satiated, the petit fours then arrived on a three-tier silver tray. We also each received a warm blueberry scone, served with pots of jam, cream and lemon curd. The scones were incredibly fresh and crumbly and were the best of the desserts, and the cherry opera cake was both visually stunning and delicious. 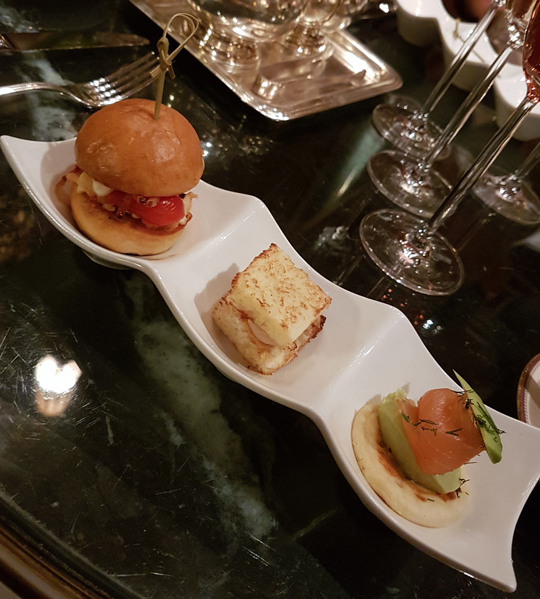 We were also treated to a sneak peak of the next afternoon tea menu, and we can exclusively tell High Tea Society readers: you’re in for a treat. We sampled a deliciously fresh Maine lobster BLT with vine ripened cherry tomatoes and a meyer lemon aioli; a smoked salmon canape served on a blini with avocado butter and fresh dill; and a Hudson Valley foie gras peanut butter and jelly toasted sandwich – all yum! 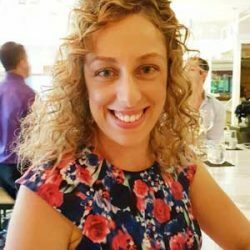 For those looking for the perfect afternoon tea when visiting the Big Apple, or for resident New Yorkers, this is a tough one to beat. The best part is, you can walk off some of that big offering across the road at Central Park. Or, if walking’s not your thing, maybe a indulge horse and carriage ride instead. 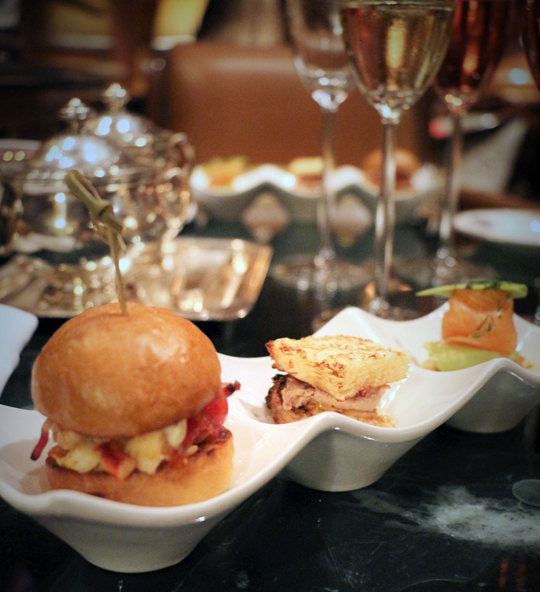 $65 for afternoon tea with a pot of tea, $89 with a glass of Veuve Clicquot Yellow Label Champagne. There is also Pierre Moncuit Brut Rose and Damaine Carneros Brut Cuvee available.